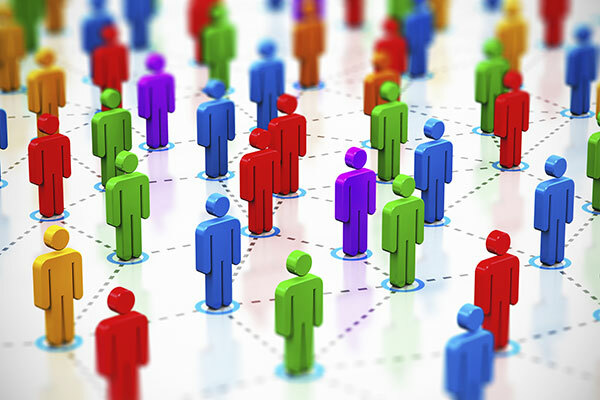 This month we’ll be highlighting articles about crowdsourcing. These are the programs that use a variety of online mechanisms to get ideas, services, solutions, and products by asking a large, diverse crowd to contribute their expertise, talents, and skills. Among the mechanisms are hackathons, data jams, code-a-thons, prize competitions, workplace surveys, open ideation, micro-tasks or microwork, citizen science, crowdfunding, and more. A brief look at history outlines a few notable prize competitions, crowdsourcing where solvers are given a task and winners are awarded a prize: The X-Prize and its many iterations from personal space flight to unlocking the secrets of the ocean, Charles Lindburgh’s flight across the Atlantic for the Orteig Prize, and the 300 year-old Longitude Prize, launched by an act of Parliament in Britain to determine a ship’s longitude with the goal of reducing shipwrecks. Today the Longitude Prize is awarding $10 million (UK, British Sterling) for solutions to prevent antibiotic resistance. The U.S. government has Challenge.gov—the hub of publicly open competitions to solve technical, scientific, and creative problems. Today, there are more than $2.6 million in prizes available, including a competition to find a technical solution to retrieving and sharing data from bug boxes. The National Science Foundation launched the Beyond the Box challenge after extensive research and coming to the conclusion that they needed an innovation that would surpass what is commercially available. Since its launch in 2010, federal agencies have run more than 370 competitions and awarded more than $72 million in prizes along with valuable non-cash incentive prizes on the Challenge.gov platform. You can learn more about the program, winners and case studies by watching short, on-demand videos or reading articles in the Challenge categoy of this site. The Department of Health and Human Services (HHS), NASA, Department of Defense, and Energy are the leading agencies for a number of challenges launched. Combined, these agencies comprise more than 65% of all federal challenge competitions. We’ve also seen huge success with EPA’s myraid initiatives (like My Air, My Health), Federal Trade Commission’s Robocall Challenge, and USAID’s efforts for water desalination and an Ebola response. Citizen science is the hot new topic in open crowdsourcing efforts. These programs are specific to science problems and often involve micro-tasks, like identifying organisms or changes in environment based on photos. In an example, the U.S. Geological Survey launched iCoast in 2014 to ask citizens to help identify changes to the coast from Super Storm Sandy and they’re received fantastic results to help analyze storm impact and coastal change probability. Another success story is from National Archives and Records Administration (NARA), which developed the Citizen Archivist Dashboard. Contributors tag and document transcription to archival records. More than 170,000 volunteers indexed 132 million names of the 1940 Census in only five months, which NARA could not have done alone. Within government agencies, there are departments that crowdsource solutions from employees. This Ideation Community of Practice is open only to federal staff (.gov, .mil) and provides best practices, resources, and tools to help navigate the processes of asking for ideas, implementing solutions and managing awards and expectations with contributors. Two of the most successful agency programs are at State Department and Department of Transportation; both have ongoing programs to engage staff. There are also occassional crowdsourcing efforts like GSA’s “Great Ideas Hunt;” launched to solicit innovative ideas. This year the Consumer Financial Protection Bureau (CFPB) developed an open-source technology platform that is used to manage the agency’s internal crowdsourcing efforts. The code is available on GitHub and the on-demand webinar gives an overview of CFPB’s program. We hope you enjoy the articles and that the work in crowdsourcing inspires you to get involved or launch your own initiative. If you have any questions about this theme or want to contribute a story about your agency crowdsourcing efforts, please contact us via email.